Over 850 people registered for the first-ever Northfield Area Climate Summit and over 650 attended. This site will remain up as an archive of the event and Climate Summit photos and videos will be posted soon. Stay tuned! To stay involved in local sustainability events and organizations, visit the Greater Northfield Sustainability Collaborative. Climate Change: Natural Cycle or Troubling Trend? See a rebroadcast of Paul Douglas’ keynote speech on Northfield Cable NTV (Channel 12). 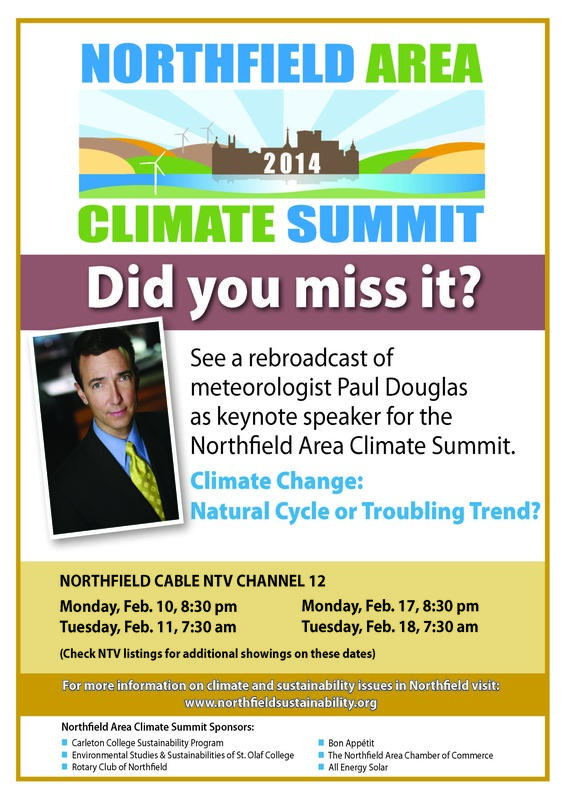 On January 18th, 2014, Meteorologist Paul Douglas was the keynote speaker at the Northfield Area Climate Summit, a free community-led information and discussion forum for Northfield area residents, businesses and institutions. The Summit took place at St. Olaf College and was free and open to the public. Breakout sessions were led by a distinguished science and/or industry leaders and included questions and open discussions that fostered a spirit of comity and openness to the views of all community participants. Each panel included attention to the local implications of climate change and offered practical information and resources to foster ongoing discernment and action. In addition to the breakout sessions and discussions, a Community Idea and Action Fair hosted over 30 informational exhibits on state and local projects, services and campaigns relating to climate change and sustainable energy practices. 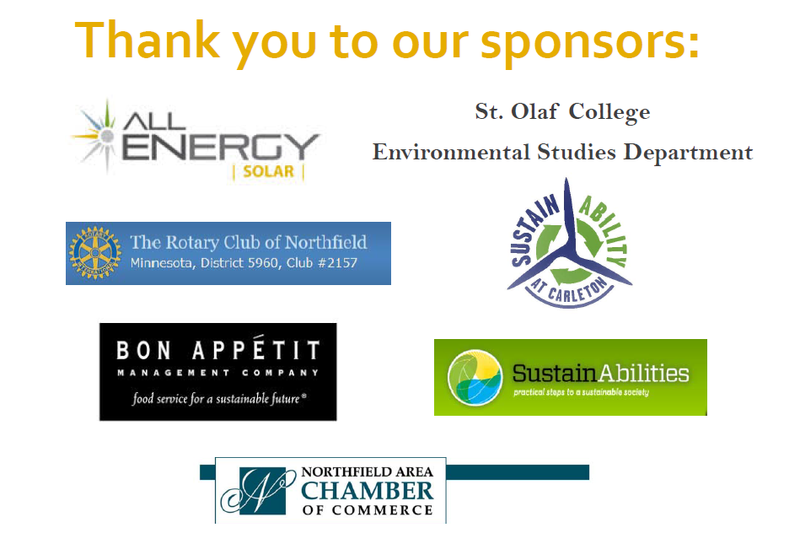 The Northfield Area Climate Summit was organized by a grass roots committee of Northfield area residents including representatives of local civic groups, faith organizations, St Olaf and Carleton College, local teachers, high school students, civic leaders, college students and professors.